Hilary Samson Barry is a qualified, experienced and successful coach. She works with individuals, teams and organisations to improve effectiveness through one to one coaching, group and team facilitation, and skills development in political savvy, strategy development, organisational effectiveness and partnership working. Hilary’s significant strategic and organisational leadership experience provide the context for her coaching work. She served over 25 years in the public sector at director level in the NHS and Department of Health, latterly as Director of Partnerships for Children, Families and Maternity. In the Greater London Authority she set up the health functions for the first Mayor and the London Health Commission. As a director of the Women and Equality Unit in the Cabinet Office and Department of Trade & Industry she introduced the first cross government target on gender equality and initiated and ran successful women’s pay and productivity programmes in partnership with private sector leaders and a range of academics. Hilary also worked in the private sector as a general management consultant with a leading international professional services firm working extensively in Europe and North America consulting to FTSE and Fortune 100 companies on strategy and organisation effectiveness. She also works with a number of organisations in the voluntary sector, including serving as Trustee and Chair of Audit Committee for Scope, the national disability charity. In her coaching practice, she trained as a leadership and professional development coach at the Tavistock Institute and is qualified in the Thinking Environment and Myers Briggs personality type assessments. She also has skills in neuro-linguistic programming, conversational hypnosis, somatic coaching, mindfulness and recent understandings from neuroscience about leadership and personal effectiveness. 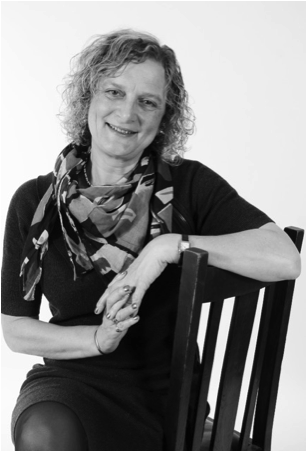 Over the last few years she has worked extensively with chief executives, directors, boards, clinicians, commissioning teams and policy leads across health and social care, local authorities, housing, police and central government as well as a wide range of charities. She currently leads a volunteer business mentoring programme for a federated national charity, which in its first year engaged over 20 mentors and over 50 chief executives in mentoring relationships. Hilary earned a BA (Hon) in Economics and Geography from the University of Exeter, an MBA from the University of Cranfield, and holds an Honorary Doctorate from the University of Greenwich. She has regular supervision, actively pursues ongoing professional development and is currently engaged in further learning on systemic constellations.